Internal conflicts led to rhythm guitarist and keyboard player Michael Corby being removed from the band by Chrysalis on August 28, 1978. The three remaining members of the Babys - John Waite, Wally Stocker, and Tony Brock - completed the album 'Head first' for a January 1979 release. 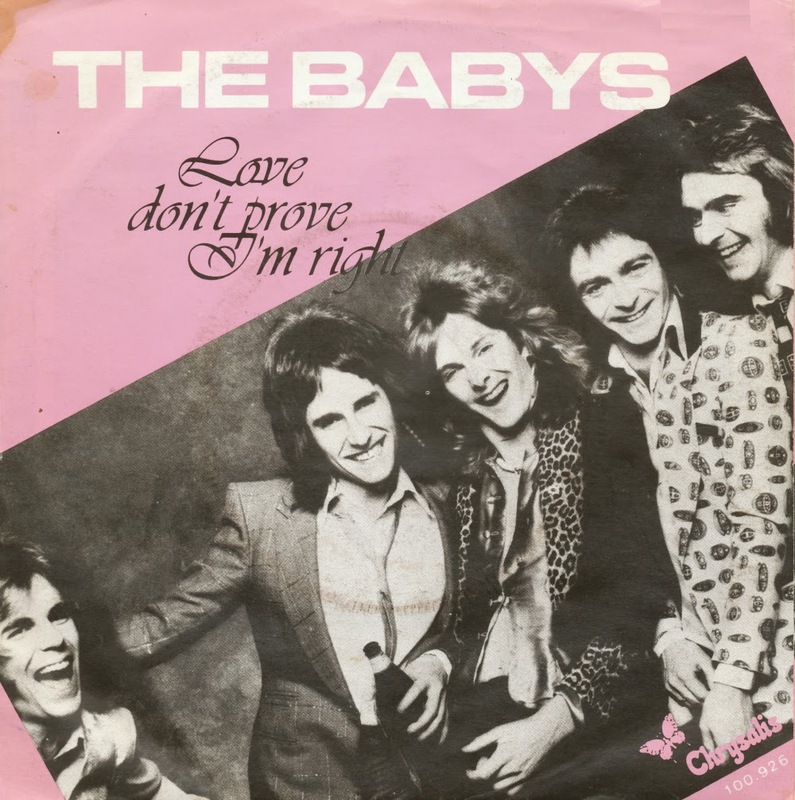 'Love don't prove I'm right' was a single taken from that album, the one that spawned their signature hit 'Every time I think of you'. The title track was also released as a single, but didn't fare as well and this one, released exclusively in the Netherlands - as far as I could find out - did even worse, as it failed to chart everywhere.